John appeared in federal court in Newark on behalf of the New Jersey Department of Children and Families with respect to the federal-court consent decree that govern's the State's child-welfare system. Bursch Law filed a reply brief in support of its Supreme Court cert. petition regarding the elements of a hostile-environment claim against a union. The brief is available here. Bursch Law filed a cert. petition asking the Supreme Court to resolve a circuit split regarding the proper test to apply when analyzing whether a federal scheme is sufficiently comprehensive to preclude a section 1983 claim asserting a constitutional violation for the same underlying conduct. The specific question is whether plaintiffs' section 1983 claims are precluded by the Safe Drinking Water Act. The petition is available here. Great to see old friends and meet new ones at the Federalist Society 2017 National Lawyers Convention in Washington, DC. John argued his second case of the Michigan Supreme Court Term, and 28th overall, in Marlette Auto Wash, LLC v. Van Dyke SC Properts, LLC, a real-estate dispute involving prescriptive easements. This past June, the U.S. Supreme Court issued a 6-2 ruling in favor of Bursch Law client Jae Lee, a permanent legal resident of the United States who emigrated with his parents from Korea in 1982, and who has lived in the United States ever since. After being charged with a relatively small-time drug offense, Mr. Lee accepted a plea offer in exchange for a 9-11 month reduction in his sentencing exposure. Mr. Lee's decision was based almost exclusively on his attorney's advice that the plea would not lead to his deportation. But counsel had it exactly backward: the plea subjected Mr. Lee to mandatory, permanent banishment from the United States. After Mr. Lee served his one-year sentence -- and an additional six years in detention waiting for his habeas petition to be resolved -- he was allowed to withdraw his plea as a result of the Supreme Court's decision. But that was not the end of proceedings. Mr. Lee still had to negotiate a different plea or go to trial on the original charges. The rest of Mr. Lee's story has now concluded. The federal government did the right thing and moved to dismiss the charges against Mr. Lee. And just yesterday, the district court granted that motion and dismissed the indictment. Mr. Lee is now free to continue his career as a successful restauranteur in Memphis, Tennessee, and to care for his elderly parents, who live in New York. The Firm sends our best wishes to Mr. Lee and his extraordinary trial counsel, Pat McNally. Bursch Law prevails in its Michigan Supreme Court litigation involving the interplay between Michigan's cap on public-employee health benefits and collective bargaining. Oral argument was held on October 11, 2017. Case information is available here. Bursch Law files a cert. petition in the U.S. Supreme Court regarding the elements of a hostile-environment claim against a union. The petition is available here. 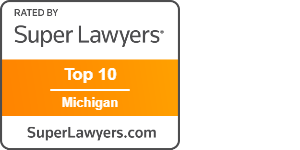 Benchmark Litigation names Bursch Law a "Recommended firm," one of only 12 so honored in Michigan. Benchmark also listed John as a "State litigation star." 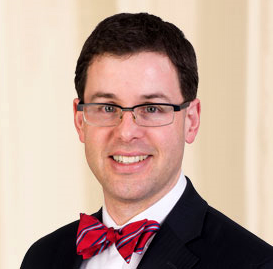 From the listing: "John Bursch is the name partner and litigator behind the curtain, boasting an impressive track record arguing before the Michigan and US Supreme Courts. . . . A client who was represented by Bursch at the federal venue praises him for delivering an "outstanding briefing and oral argument" and for providing "excellent analysis." John argued his 27th case in the Michigan Supreme Court, involving the interplay between Michigan's cap on public-employee health benefits and collective bargaining. Additional information about the case is available here. A study on "clutch" U.S. Supreme Court practitioners includes John on "a veritable who's who of Supreme Court litiagors," recognizing him as having the 6th highest win rate of all Supreme Court lawyers with at least four 5-4 decisions since the 2005 Term. John is recognized with a cover picture and a featured article in the 2017 Michigan Super Lawyers magazine. The issue is available here. Bursch Law files a cert. petition in the U.S. Supreme Court regarding the standard of review applicable to a federal district-court dismissal of a shareholder derivative action based on a Special Litigation Committee's recommendation. The petition is available here. Bursch Law files a brief in the U.S. Supreme Court on behalf of the United States Conference of Catholic Bishops and several other organizations in the Masterpiece Cakeshop case. The brief is available here. John argues in the Michigan Court of Appeals regarding the right of intervenors to challenge the Michigan "Blaine Amendment" in response to lawsuit that asserts the Amendment as a reason to strike down state reimbursement for nonpublic-school health and safety mandates. The Wall Street Journal provides coverage regarding Bursch Law's defense of an Indiana statute that prohibits the transfer of aborted fetal body parts or tissue. The article is available here. The Detroit Free Press provides an update on the Tesla litigation. Coverage available here. 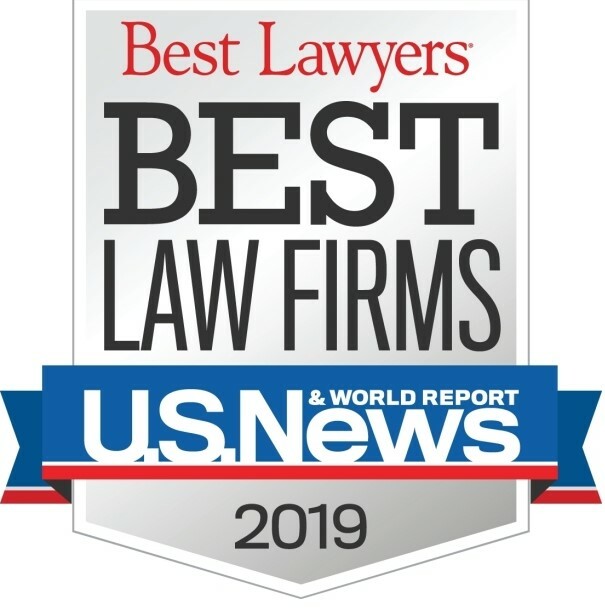 The Best Lawyers in America recognize John for his excellence in three categories: (1) Appellate Litigation, (2) Commercial Litigation, and (3) Bet-the-Company Litigation. More details about the honor are availabe here and here. Bursch Law successfully upholds the district lines for Texas Congressional District 23 on behalf of U.S. Congressman Will Hurd in the Texas redistricting litigation, even though the special three-judge panel strikes down other districts challenged in the lawsuit. The opinion is available here. Bursch Law files a cert. petition on behalf of a defendant who was forced to make the Hobson's choice of proceeding to trial with appointed counsel who was unprepared or representing himself. The cert. petition is available here. John is recognized with his record 7th and 8th "Distinguished Brief Award" for briefing submitted to the Michigan Supreme Court. Detail about the Award and the honored briefs is available here. A Legal News report about the recognition ceremony is available here. Bursch Law files a cert. petition involving a massive land-in-trust decision in upstate New York. Law 360 provides coverage and a description of the dispute here. John discusses with the Michigan media the potential effect that the U.S. Supreme Court's Trinity Lutheran decision may have on the pending lawsuit challenging Michigan appropriations to reimburse private schools for state safety mandates. Coverage is available here and here. John is quoted in a Washington Post article regarding new U.S. Supreme Court Justice Neil Gorsuch and his impact on the Court. The article is available here. U.S. Supreme Court issues 6-2 decision in favor of Bursch Law client Jae Lee in important constitutional case regarding ineffective assistance of counsel in the plea bargaining process. The opinion is available here. Media coverage of the big victory by the Washington Post, The New York Times, and SCOTUSblog is available here, here, and here. Empirical SCOTUS recognizes John Bursch of Bursch Law PLLC as one of the firms most frequently arguing before the U.S. Supreme Court during its 2016 Term. The article is available here. Bursch Law filed a U.S. Supreme Court amicus brief in support of a cert. petition challenging California's law requiring pro-life pregnancy resource centers to post signs informing clients where they can obtain a state-funded abortion. The brief was on behalf of Care Net, an affiliated network of more than 1,100 pro-life pregnancy resource centers around the nation. The brief is available here. Bursch Law moves to intervene in a lawsuit filed by the ACLU challenging Michigan's appropriation of $2.5 million to reimburse nonpublic schools for complying with state health and safety mandates. Intervenors include members of the Michigan House and Senate, a nonpublic school, and parents of numerous children attending public and nonpublic schools. The intervention paperwork is available here. John argued Lee v. United States in the U.S. Supreme Court. There was extensive media coverage. SCOTUSBlog's analysis is available here. The Washington Post's coverage is available here. The Associated Press report is available here. A decision is expected no later than June 30, 2017. Bursch Law filed its merits reply brief in Lee v. United States, a U.S. Supreme Court case that John will argue on March 28th. The question involves the standard for proving prejudice when counsel provides incorrect advice regarding the deportation consequences of a plea agreement. The brief is available here. John argued in the United States Court of Appeals for the Sixth Circuit on behalf of Ms. Tanganeka Phillips and against the UAW International in a case involving whether labor organizations can be sued by their members for hostile-environment claims under Title VII. The oral argument audio is available here. Bursch Law files a cert. petition in Winget v. JPMorgan Chase, raising questions involving waiver, appeals, and the scope of the mandate. The petition is available here. John argued in the Michigan Supreme Court on behalf of Mando America Corporation in the Michigan Supreme Court in a case involving the standard for waiving a contractual arbitration clause. Information about the case is available here. The oral-argument video is available here. Bursch Law files a cert. petition in Black v. Dixie Consumer Products, asking the U.S. Supreme Court to limit the scope of the collateral-order doctrine. The petition is available here. The Michigan Court of Appeals rules in favor of Bursch Law client Dr. Sanjay Bhansali in a dispute involving the Estates and Protected Individuals Code (EPIC). The opinion is available here. Bursch Law files reply brief in support of cert. petition asking the U.S. Supreme Court to recognize a First Amendment right to cameras in the courtroom. Brief available here. John argued in the Michigan Court of Appeals on behalf of Dr. Sanjay Bhansali in a dispute under the Estates and Protected Individuals Code (EPIC), Bhansali v. Hasings City Bank, et al. Bursch Law recognized here for number of SCOTUS cert. grants in the 2016 Term. Bursch Law prevails on behalf of Owners Insurance in an $82 million dispute regarding the pollution-exclusion clause in an insurance policy. The Eighth Circuit's opinion is available here. Bursch Law files a cert. petition asking the U.S. Supreme Court to recognize a First Amendment right to record public judicial proceedings. The petition in McKay v. Federspiel is available here. The U.S. Supreme Court grants certiorari in Lee v. United States; this will be the second Bursch Law merits case of the 2016 SCOTUS Term (both times representing petitioner). Empirical SCOTUS compares U.S. Supreme Court records of various attorneys on the short list for U.S. Solicitor General, including Bursch Law. Blog post available here. John successfully argued in the Michigan Court of Appeals and federal court to shut down the frivolous presidential-election recount in Michigan. Coveragle availabe here. John argued his 10th U.S. Supreme Court case today on behalf of the petitioner in Star Athletica v. Varsity Brands, a dispute regarding copyright separability. Media coverage of the argument was substantial. SCOTUSblog's argument analysis is available here. Coverage is also available from The Wall Street Journal (here); the New York Times (here); Fortune (here); and the Washington Post (here), among many others. Michigan Court of Appeals rules in favor of Bursch Law client Peter Karmanos in case John argued on October 11, affirming $16 million judgment. Opinion available here. John argued on behalf of defendants-appellants in Chase Bank v. Winget in the United States Court of Appeals for the Sixth Circuit today. The case is a $400 million+ commercial dispute over a guaranty. The oral argument audio is available here. MiBiz article regarding Tesla's lawsuit against the State of Michigan available here. John argued in the Michigan Court of Appeals today on behalf of plaintiff-appellee in Karmanos v. Compuware, a contract and tort case involving a $16 million arbitration award. John argued two separate cases in the Michigan Supreme Court today, his 24th and 25th. The argument video in Kemp v. Farm Bureau Insurance, a No-Fault case, is available here (representing defendant Farm Bureau). The argument video for McClain v. City of Lansing Fire Department, a gross negligence case, is available here (representing the plaintiff estate). John argued two consolidated cases on behalf of Consumers Energy in the Michigan Supreme Court today, City of Coldwater v. Consumers Energy and City of Holland v. Consumers Energy. The argument video is available here. Bursch Law PLLC files a complaint on behalf of Tesla Motors in the W.D. Mich. regarding the constitutionality of Michigan's law that prohibits a vehicle manufacturer's direct sales to consumers without a franchised dealer. The filing is available here. National media stories about the lawsuit and Bursch Law's representation are available here, here, and here. John presents at the ITT Chicago-Kent College of Law's Supreme Court IP Review about Star Athletica v. Varsity, a copyright dispute he will be arguing in the U.S. Supreme Court on October 31st. Additional information about the seminar is available here. John argued Williams v. Owners Insurance in the United States Court of Appeals for the Eighth Circuit today. Argument audio available here. Bursch Law PLLC files a petition for certiorari in Jae Lee v. United States, which involves a question regarding Strickland prejudice in a case where a defendant pled guilty to a mandatory, deportable offense based on counsel's misadvice. The cert. petition is available here. Bursch Law PLLC files an amici brief in the United States Supreme Court on behalf of the Michigan Senate Majority Leader and the Michigan House Speaker in support of Secretary of State Johnson's application for a stay pending appeal in the straight-ticket balloting case. The brief is available here. Michigan Lawyers Weekly publishes a front-page article regarding creation of Bursch Law PLLC; the story is available here (subscription required). John Bursch quoted in WOOD TV 8 story about the straight-ticket balloting case headed for the U.S. Supreme Court. The article is available here. The National Law Journal publishes a story about Bursch Law PLLC opening its doors , noting that John will be arguing four Michigan Supreme Court arguments this fall as well as his 10th U.S. Supreme Court argument. The story is available here. Introducing Bursch Law PLLC, a Michigan-based boutique that conentrates on complex litigation matters involving high-stakes issues, substantial publicity, and the highest levels of the court system. With a regular U.S. Supreme Court practice and a dominant Michigan Supreme Court presence, Bursch Law represents some of the nation's largest and most respected companies as well as States, Governors, Attorney Generals, and other public officials.